Happy friday everyone! Last month you all did me a major solid and took part of my blog survey. Thank you, thank you! You guys are literally my boss and finding out what you're into helps me create better content. One common request you made was for me to share more simple projects, so that's exactly what I have for you today! We have this weird skinny space above our bed. It sat empty for months while I tried to come up with something that would fit yet still be "me". I've always loved the white on white wedding date art from Desert Domicile, so I decided to steal borrow her idea, but change it up to match my design. 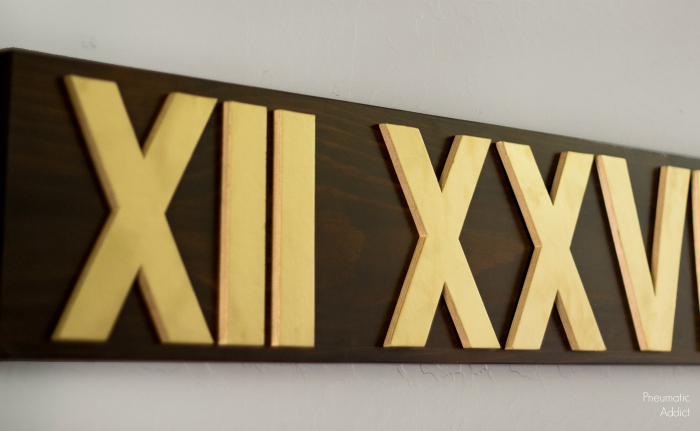 This custom sign is a perfect project for a beginner and doesn't require any special tools. I built mine in a single afternoon. 1. The first step is to determine the length you want the board. I have a king size bed and chose to cut my board at 64". If you don't have a saw, you can have the board cut to length for free, right there at Home Depot. 2. Stain and seal your board however you like. I wanted to match my bachelor's chest nightstands , so I followed the same steps in my "Stain furniture like a pro" tutorial, to apply a walnut colored finish. 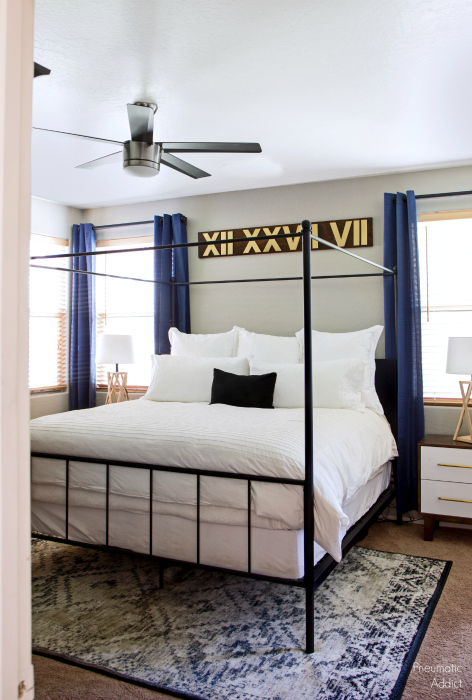 If I had darker walls, I'd totally rock the monochromatic, white on white look. 3. If you are using chipboard or MDF letters, they can be a little tricky to paint. The surface is so porous, it tends to absorb the paint unevenly. If you spray a heavy coat of clear shellac before you paint, your paint will be much easier to apply and you'll get a nice even sheen. 4. 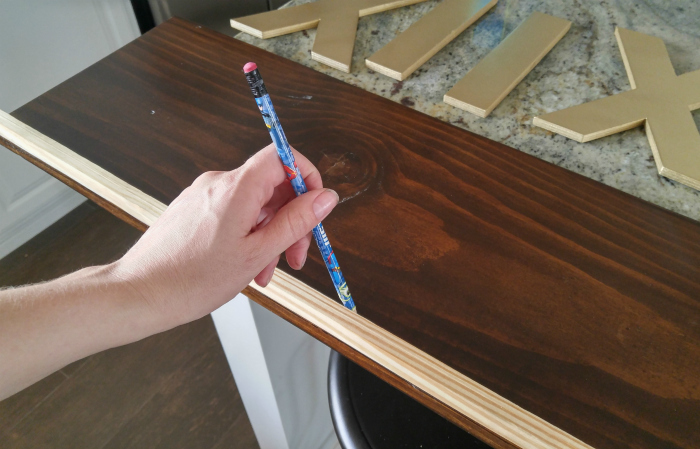 Use a tape measure or piece of scrap to draw a straight line 5/8" from the bottom of the board. This will help you keep all your letters level and even. 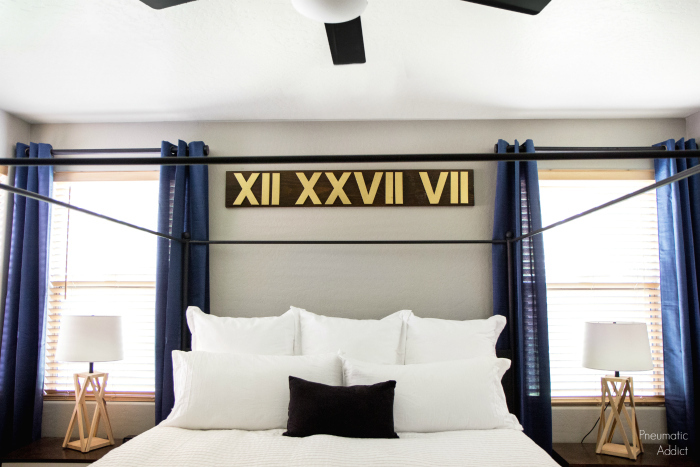 Once you have your numerals spaced how you'd like, apply a thick bead of wood glue on the back and press them firmly on the board. 5. 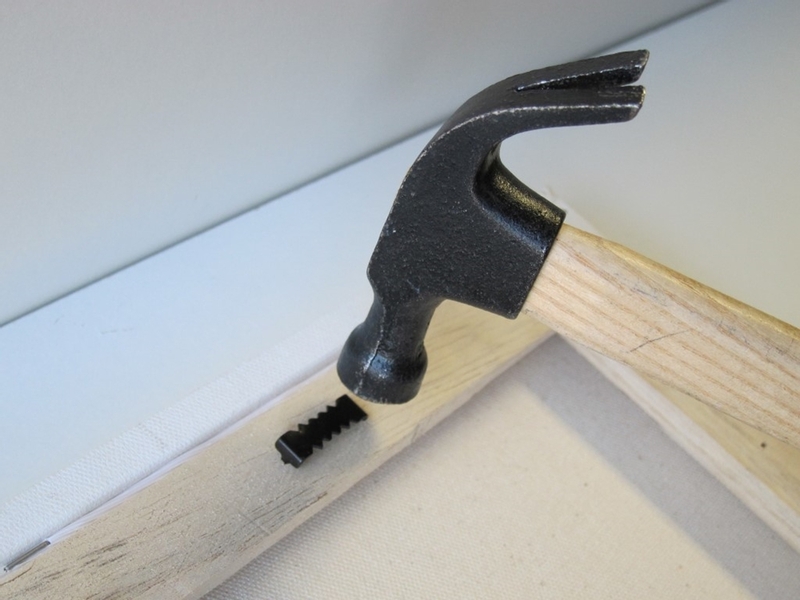 Once the glue is dry, flip the sign over and attach a pair of *sawtooth hangers . I think the nail-less kind are easiest to attach. That's it! 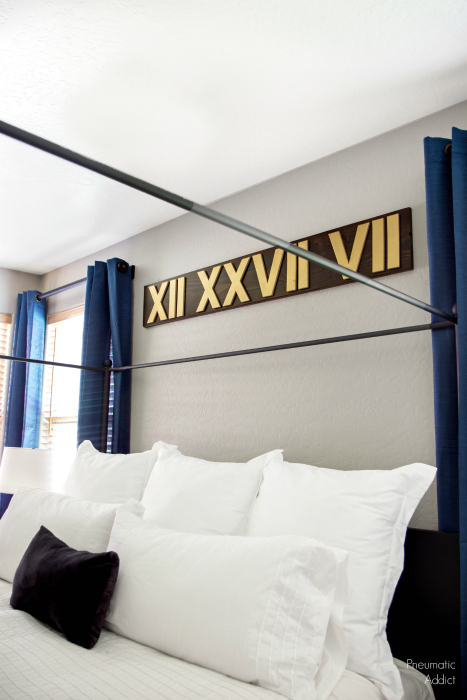 The long and narrow sign is perfect for an odd, skinny piece of wall. Depending on your date, you could end up needing several letters and that could really add up. Wait till Hobby Lobby has their wood or chipboard letters on sale for 50% off. I found mine in the paper mache aisle and got them for $1 each. 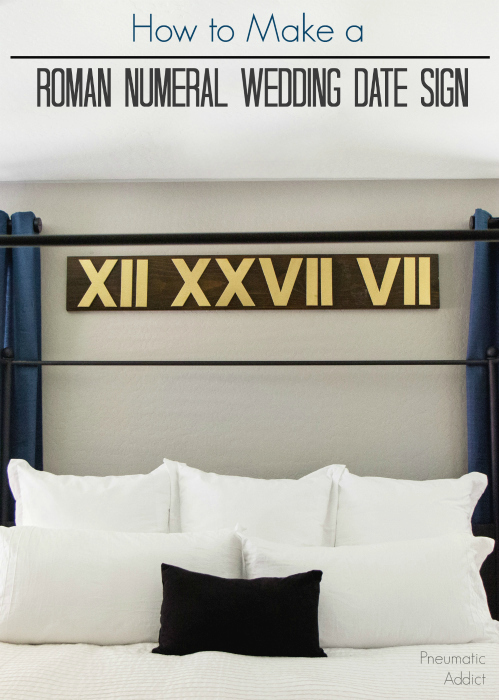 Feeling sentimental and ready to make your own roman numeral wedding date sign? Pin the image below to save the idea for later.